Ujjwala scheme successful in terms of number, but is it the same in its intent? In May 2016, Prime Minister Narendra Modi announced Pradhan Mantri Ujjawala Yojna (PMUY) with an objective of replacing dirty cooking fuels, mostly used in rural India and BPL households in the country, with a clean and more efficient LPG. At that time, the government had decided to distribute LPG connection to five crore women of BPL families till 2019. In a country, where, according to Census 2011, nearly 121 million households used traditional stoves (chullha) and get trapped in a highly polluting environment, such an initiative was appreciated by one and all. In India, indoor air pollution is the second biggest killer after high blood pressure, with two people dying prematurely every minute due to indoor pollution, according to the 2010 Global Burden of Disease. Ujjwala scheme—which wanted to ensure better penetration of clean energy in the hinterlands of the country—was expected to reverse the situation. How successful is the scheme? Two years have passed since the launch of the scheme. According to the official website of PMUY, 3.98 crore connections have been given so far. Riding on the back of a seemingly successful scheme, Finance Minister Arun Jaitley, in 2018-19 budget speech, announced that the government will now distribute LPG connection at subsidised rate to eight crore women by 2020. Distributing LPG connection is a job half done as ensuring its sustained usage is a bigger challenge that the government is currently facing. Last August, Down To Earth surveyed several villages in five states and found that though women and families are excited to get the LPG connection, the enthusiasm fizzles out when it comes to using the LPG for cooking regularly. People are still using LPG minimally with a mindset of prolonging its usage. Sometimes a single LPG cylinder lasts up to a year as women are reluctant to give up cooking on wooden stoves. This has led to the emergence of another problem: inactive accounts. 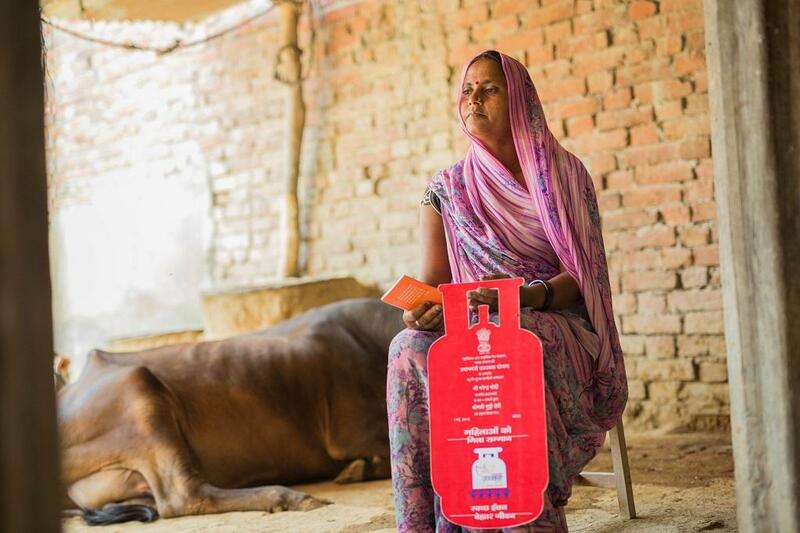 If the beneficiaries under PMUY don't get their cylinders refilled every three months, the distributors put such connections in the list of ‘inactive’ customers. A lot of rural customers reportedly took the LPG connection, but didn't use it regularly, hence, the country now has 3.82 crore inactive LPG connections (January 2018), almost at par with the total number of gas connections distributed under Ujjwala scheme. If one looks at the LPG consumption trend of the last four years, it becomes clear that LPG consumption has not increased despite a very high growth in number of LPG connections. It has got to do with affordability. The reason why customers are not returning for a refill after receiving the connection and cylinder for free is the high cost of even a subsidised cylinder—Rs 450. Kerosene and firewood remain much cheaper options. According to an analysis published in Economic and Political Weekly on May 19, the average monthly domestic LPG sales increased from 1.4 million tonnes (MT) in 2015–16, to 1.6 MT in 2016–17 and 1.7 MT during the period April–December 2017 due to the rapid disbursement of connections under PMUY. However, per-consumer consumption of LPG went down from 9.1 kg per month in 2015-16 to 8 kg per month in 2017. Pinning down on this figure, the analysis suggests that LPG consumption of newer consumers, mainly PMUY beneficiaries, is lower than what it was earlier. It simply means that newer PMUY connections did not translate into sustained use. Is the government's Ujjwala target achievable?